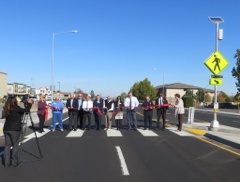 he Washington State Transportation Improvement Board (TIB) funds high priority transportation projects in communities throughout the state to enhance the movement of people, goods and services. 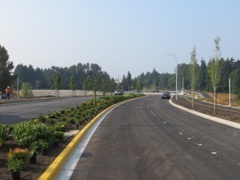 TIB is an independent state agency, created by the Legislature, that distributes and manages street construction and maintenance grants to 320 cities and urban counties throughout Washington State. Funding for TIB's grant programs comes from revenue generated by three cents of the statewide gas tax. March 22, 2019 - 47 cities and two counties recieved awards for a total of $17 million. March 06, 2019 - The board will announce on March 22nd. March 01, 2019 - Thirty second video will run several hundred times on TVW. he Legislature created the Transportation Improvement Board to foster state investment in quality local transportation projects. The TIB distributes grant funding, which comes from the revenue generated by three cents of the statewide gas tax, to cities and counties for funding transportation projects. The primary purpose of the TIB is to select and administer transportation projects that best address the criteria established by the Board. Each funding program has its own set of criteria used to rate project applications. The project selection process for all funding programs is completed annually. The Board is composed of six city members, six county members (County Road Administration Board [CRAB] member is ex officio), two Washington State Department of Transportation (WSDOT) officials, two transit representatives, a private sector representative, a member representing the ports, a Governor appointee, a member representing non-motorized transportation, and a member representing special needs transportation. Board members are appointed by the Secretary of Transportation to four-year staggered terms with the exception of the CRAB representative and the Governor's appointee. The TIB funds high priority transportation projects in communities throughout the state to enhance the movement of people, goods and services. To view TIB's Washington Administrative Code (WAC), follow the links below. 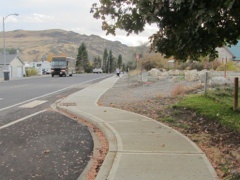 The statutes governing TIB's programs can be found in RCW 47 - Public Highways and Transportation. To contact TIB, choose a method below. For TIB staff contact information, choose an option below. Who is my TIB engineer? Select TIB Staff Member Ashley Probart Greg Armstrong, P.E. Gloria Bennett, P.E. Kelsey Davis Christa Draggie, P.E. Chris Langhoff, P.E. Vaughn Nelson Jason Phelps, P.E. Gregg Plummer Chris Workman, P.E.